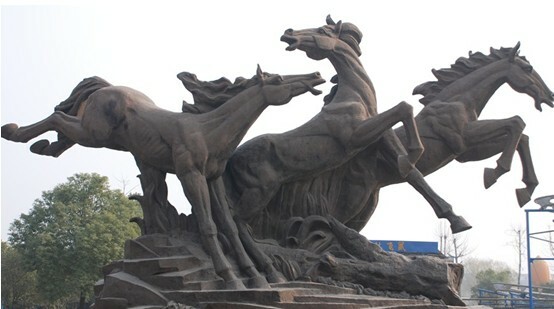 Yiwu, a city located in Zhejiang province, was founded in the Qin dynasty, at or about 222 BC. The long history of Yiwu flourished as early as the Neolithic Age. In 222BC Yiwu first became a county and was entitled Yiwu County in the year 624 AD. In May 1988, the former Yiwu County was promoted to a county-level city. Yiwu ranked the 47th among China’s 100 most powerful counties/cities according to its comprehensive economic strength in 1995 and at the same time listed as Zhejiang’s unique city among the nation’s experimental counties/cities of comprehensive reform. In 2001, the Yiwu overall economy ranked 19th of all counties (cities) of China. Many great figures in the fields of literature, art, military, education, and engineering were born in Yiwu because of its early culture. Among these were Chen Wangdao, China’s first translator of the Communist Manifesto; Wu Han, historian and former deputy mayor of Beijing; Zhu Zhixi, the meritorious engineer in harnessing the Yellow River, Zhu Danxi, one of the four distinguished doctors of the Jin and Yuan Dynasties ,and Zongze, a well-known general from the Song Dynasty who resisted aggression by the State of Jin, and as well as Wang Lee Hom, a very famous singer.